Register here if you are new to working with HITT or need to update your current information on file. Subcontractors are critical to the success of any project. For all of our 82 years in business, we've seen these companies go above and beyond, demonstrating true craftsmanship and absolute professionalism. We credit our own success to the strong relationships forged with our subcontractors and suppliers throughout the years. We have an open door policy Monday through Friday, and encourage all of our subcontractors to visit our office on a regular basis. Feel free to stop by to meet our team and learn about the latest project opportunities on our electronic bid board. HITT hosts Sub Day to recognize our subcontractors for their continuous dedication and performance. Each year we recognize a subcontractor for their outstanding efforts by presenting them with the Myrtle L. Hitt Award, named after one of our founders. This subcontractor is someone who exemplifies The HITT Way through quality workmanship, excellent service, timely completion, and does whatever it takes to get the job done. Congratulations to the 2018 winner Tyson Floors! HITT's Featured Subcontractor program recognizes 25 subcontractors every year for going above and beyond the call of duty. As our Featured Subcontractor, their company is recognized in our Subcontractor Bulletin, which is distributed to all HITT employees nationwide. Want to Work with HITT? Our goal is to engage qualified subcontractors and suppliers to work on projects that are successful for everyone involved. If you're interested in doing business with HITT as a subcontractor or supplier, please complete and submit the following form. Learn more and get in touch! HITT dedicates a Subcontractor Relationships team completely focused on cultivating relationships, continually bridging communication, and establishing new partnerships. 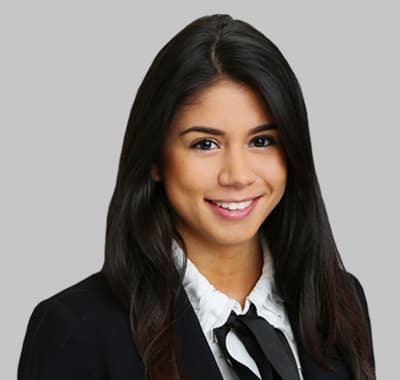 Andrea Gonzalez, Associate, Subcontractor Relationships is readily available to assist our subcontractors and suppliers in how to do business with HITT as well as address their concerns and needs.